How many people have gone back and bought where they used to work. A lady that did that is the epitome of an African American success story. Catherine Liggins Hughes is single mother up from the projects that should be celebrated for accomplishments since she worked at Howard University. Now Hughes and her son Alfred Liggins III, have climbed the ladder of success to be to be among the nation’s wealthiest blacks with a combined worth of $460 million. Hughes and son deserve canonization for their $4 million gift funding The Cathy Hughes School of Communications. A Washington Informer editorial said that Hughes is an icon blacks should “know and respect.” An example of the American Dream come true, Hughes is in the earnings league with Oprah and Beyoncé Knowles through hard work, grit, determination, a connection with and obedience to her God and belief in herself and her inner “family” and business colleagues. As a 16-year-old teen mom, married at 17 and eventually divorced, the single mother saw her son as a blessing and inspiration to work harder. In the early ’80s she purchased Washington, D.C. station WOL-AM with the help of a high-interest loan, which eventually caused her to lose her house and car. She and her young son lived in the station, but, Hughes saw it as an opportunity to be there around the clock and learn how it operated. Representative of what black media could and should be, Hughes is emphasizes black culture and the importance of preparing others, including her son, to take over and assume leadership. She had enough faith and trust in the way she raised her son, Alfred C. Liggins III, to pass the business on to him. A MBA graduate of the Wharton School of Business Alfred took the country’s largest black media company to the next level, making his mother the first black woman to head a publicly-traded company and expand the company to include television and digital platforms. Prior to beginning her career in radio in 1969 Cathy worked for the African-American Omaha Star newspaper. Hughes became a media legend in Washington D.C. after landing a job as a lecturer at Howard’s School of Communications in 1971. In 1973, she became General Sales Manager of the university’s radio station, WHUR-FM, increasing station revenues in her first year. After being rejected by thirty-two banks, in 1980 Hughes and then-husband Dewey Hughes, bought AM radio station WOL 1450, then the target of a federal payola probe in a distress-sale for $950,000. Help for Hughes came from Syndicated Communications, godfather investors of black broadcasting ownership. Even today, SynCom owns a majority position in Hughes’s stations. The first radio station was a financial disaster for seven years. “But I stayed focused on not losing my company, and that’s why I moved into the station and did whatever it took. I was willing to let everything go except my son and my business, in that order” Hughes says. Over time, the station began turning a profit, largely due to the success of her “firebrand” talk show. Radio One went on to own 70 radio stations in major markets. In 1999, Radio One became a publicly traded company, listed under the NASDAQ stock exchange. A Republican-oriented entrepreneur, Ms. Hughes’ businesses are everywhere you look. She started the TV One network in 2004 with a slate of investors. TV One reaches 58 million homes as the “lifestyle and entertainment network for African-American adults.” With investors Hughes acquired the Blackplanet social network website in 2008. Once a SBA borrower, Hughes now serves as chair of that agency’s Advisory Council on Underserved Communities. Hughes and her properties and platforms are black-culture oriented. 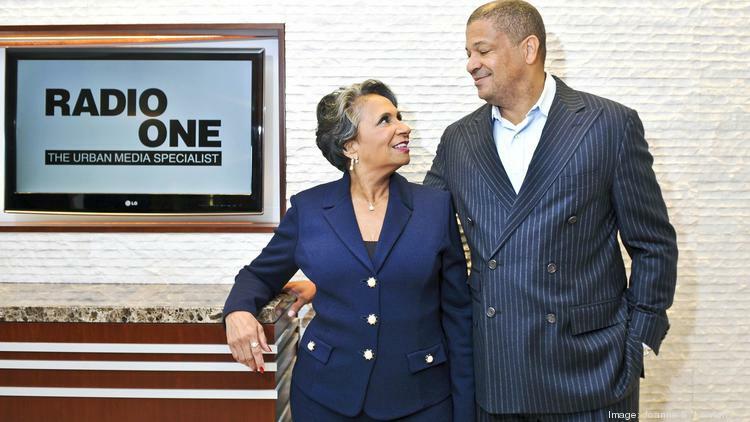 Radio One owns Magazine One, Inc. and Reach Media, Inc., owner of the Tom Joyner Morning Show and other businesses. Cathy Hughes and Alfred invested $40 million in the MGM National Harbor Resort. Hughes is soliciting donors for a new building for Howard’s School of Communications to replace their site at Freeman’s hospital which was built in 1909. Donations go to Radio One: 1010 Wayne Avenue, Floor Silver Spring, MD 20910. 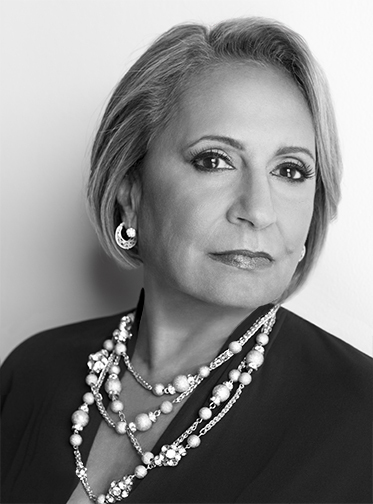 Hey Buddy!, I found this information for you: "Business Exchange: Cathy Hughes – Black Business Icon". Here is the website link: https://blackmeninamerica.com/business-exchange-cathy-hughes-black-business-icon/. Thank you.